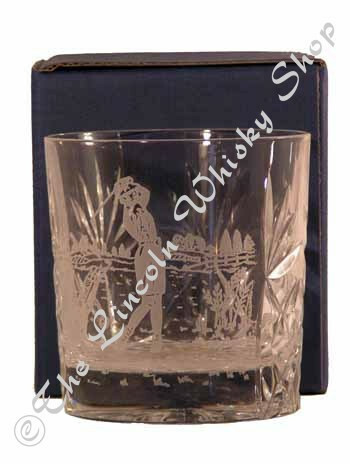 One hand cut, lead crystal tumbler in the Kintyre design, with a female golfer engraved on the front, presented in its own blue box. This beautiful, large glass is ideal for lady golfers who like their whisky/spirits over ice or with a mixer.This is a low cost shipping item. Please contact us on 01522 537834 (10am-5pm Mon-Sat) for a more economic mail order price.